Usually the offseason in the NFL is the league hype machine kicked into full gear preparing for the draft. Free agency is just a footnote as big names are rarely on the market. But as Lee Corso would say, not so fast my friend. Free agency officially began this week, and wow what a week it has been. There have been enough out of nowhere haymakers to knock Rocky Balboa down. I will cover the major deals that have occurred so far and my thoughts on them and try to touch on the not so big fish as well. Get your popcorn ready. The big winner thus far has been the Miami Dolphins winning the Ndamukong Suh sweepstakes. It comes at a huge cost ($114 million) but Suh is the best defensive tackle in the league and is in the conversation for best defensive player overall. He immediately makes the Dolphins defense better. This is also good news for pass rushing specialist Cameron Wake, as teams will likely double Suh allowing him to go 1-on-1 with tackles. Either way the defense in South Beach should be much improved. On the other hand, the team that takes the cake for the most WTF moments thus far is the Philadelphia Eagles and it’s not even close. 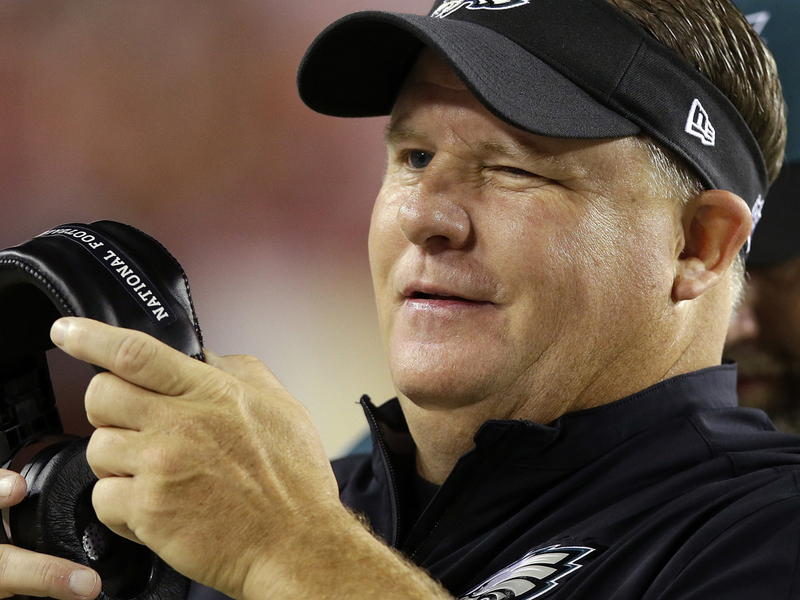 Chip Kelly traded Shady McCoy for a linebacker coming off of a torn ACL. Didn’t resign big play threat Jeremy Maclin. Traded Nick Foles for injury prone Sam Bradford, while also giving St. Louis picks in the deal and to top it all off signed Ryan “Fragile Bones” Matthews to replace McCoy. If Kelly gets this crazy experiment of his to work out then he will officially be a genius and I will vote for him in the next Presidential election. But if it fails, everyone’s finger will be pointing in one direction. Also, big winners in the trade world are the Seattle Seahawks by acquiring Jimmy Graham from New Orleans. Most look at this like the Eagles offseason, but I see it differently. The Saints are already having major salary cap problems. The Eagles have so much space that they have to spend to even reach the minimum spending level. So yes while this is a major blow to Sean Peyton’s offense, at least the Saints were willing to deal while Graham is hot. Seattle on the other hand has the pass catcher that they never had. Russell Wilson is a master of the scramble and find open receivers play, so having an elite, ginormous tight end roaming the middle of the field could be extremely dangerous. I think Graham in Seattle is a great fit and puts the Seahawks back on track for the Super Bowl for the 3rd straight year. I’m also a big fan of what the Indianapolis Colts have done so far this offseason. When you have a franchise quarterback like Andrew Luck leading your team, you want to get him as many weapons as possible. Honestly it’s impressive the Colts won as many games as they did last year with literally no rushing attack at all. Signing Frank Gore addresses that need. Yes Gore is getting old, but the man just produces. Is he fast? No. Will he run you over? No. But the man knows how to run the football and is also excellent in pass protection. The other big name coming to Indy is veteran wideout Andre Johnson. Go back 3 years and many are having discussions about which Johnson is better, Andre or Calvin? Andre has passed the 30 years-old mark since then, but is still an outstanding receiver with outstanding hands that can work the middle of the field, as well as the red zone. He is a perfect complement to speedster T.Y. Hilton. Also, since Gore and Johnson were college teammates we could call this a re”U”nion of sorts. Baltimore traded DT Haloti Ngata to Detroit for 4th and 5th round draft picks. And that is just the players that you may have heard of. There has been a ton of movement so far in the new NFL year, with more sure to come. And as always we’ll be right here to fill you in at 4 Down Territory.